We need to follow certain rules and guidelines to SEO, Black hat and white hat aside. With On-page, the SEO work is done by optimizing the keywords on the site. With off-page generating back links is also another major aspect in SEO tasks. Experts say that too much focus of any one element can also be harmful. Many top-dog seoers are rethinking strategy that suggests "less is more". For example if you use too many keywords in your content you'll almost certainly get caught in the LSI algorithm. This amazing Google technology focuses on keeping the Google index clear of spam and duplication. Although its true functions are kept secret by Google many experts in LSI explain its nature and primary goals in more detail. With keyword stuffing the pattern becomes cyclic and very easy to spot by Google. One of the best ways to get to the top search engines like Google, Yahoo and Bing is to write unique and expert content while maintaining and over-all keyword density of 2.9 %. If you exceed this threshold search engines (especially Google) will notice your website and effectively consider that you are spamming. There are many other factors that may trip a spam filter as well. 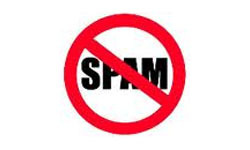 Google penalizes spamming and sites that follow spam patterns (what Google feels is spamming). If Google finds your site spammy your first tell-tale sign is your site gets chopped from organic serps (search engine result pages). Think of all the hard work you have done over the days, months or years. I can hear the sound of a flushing toilet. In less than a minute you end up in the city sewage system! How Do I Know my Site Contains Spam? For one, you will find lots of pages that repeat the same content. Often, innocently achieved through server-side include programming whereby the same content (e.g. navigation menus) appears on a high number of pages. These pages may be seen as duplicated templates thus increasing the size of the site content with duplication as seen through the LSI-co-occurrence metrics. 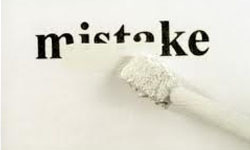 Why Some Webmasters Think They Need to Create a Spam Site? 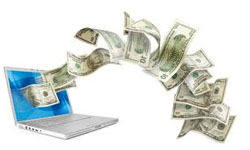 It does not matter if you have a website based on Adsense or mainstream that sells products. The more well ranked you are, the easier it is for spammers to find you. Install "Askimet" plugin and your spam with be virtually eliminated. Initiate "Spam Assassin" on your server and set the scoring level accordingly. The higher the number the more strict the rules. Be careful though, by setting the level high you may lose important client emails. Avoid naming forms with obvious names such as "contact us"
If you want to have your website on the right side of town, steer well clear of common spam indicators on your website. If your pages are similar or offer the same content on other domains it's obvious what you are trying to do. The technologies being employed by search engines will see through your attempts to manipulate quite easily. You are best to keep your pages offline until you have fully developed them. Once you have something unique and meaningful, you can deploy it online and it will have a much better chance of receiving a favorable response in serps. Your site could look like a spam since you might have similar contents on articles or designs found elsewhere and make your contents useless. Don't just buy articles off the shelf and leave it that way. It's a good idea to have it tweaked to your liking. Never buy free contents or ready made sites. Chances are you will end up spamming. Paid links are not a good practice because they go against the principles that Google and other search engines calculate a website's raking and importance on. Links that are coming to your website from other websites are considered "votes" form other webmasters. A larger part of search engine ranking algorithms are based on incoming links, the more votes you have the better your rankings. When you buy links it is not an honest vote and considered as an attempt to manipulate rankings. This is a debate that almost always results in very headed discussions in SEO webmaster forums. The argument being…how does a search engine know the difference between paid and non-paid. The other good argument is buying links to truly advertise your site. 9%, 7%, 5%, there are so many theories around the acceptable keyword density. An exercise I high recommend is to write a 500-600 word article on a topic that you are very knowledgeable in (an expert). Do not write for the purposes of SEO, write to communicate your message to other people. This is what your search engines are looking for, true expert writings form authority writers. If you feel the need you can measure the document for interest sake. It is my personal belief that expert documents will win the race in the end. Any of the documents that I write are always between 1-2.9% (such as this one). This is not because I try to fit into a density theory, it just happens to be the way it works out time and time again. I am not tooting my own horn but my articles are recognized by several ezines as expert and that's good enough for me :-). Avoid website spam and enjoy the natural attention search engines reward you with! This is exactly what I was looking for. Thanks for wrtniig! All good points, even so long after with various Google adjustments in the meantime. I completely agree that a good keyword density usually follows an informative article written for humans – it’s pretty hard to write about a subject without mentioning it a few times so you add keywords without really trying. That’s exactly it TashWord. If you write naturally, you’re bound use not only the main keywords but also longtails and variations.